Improve your odds of getting a chicken dinner by knowing the layout of PlayerUnknown’s Battlegrounds’ newest map, Vikendi. Covered in a thick layer of snow, Vikendi is PlayerUnknown’s Battlegrounds’ latest map for players to experience. This vast and chilly map brings with it several new additions, including snow-based vehicles and the G36C, a replacement of the SCAR-L. 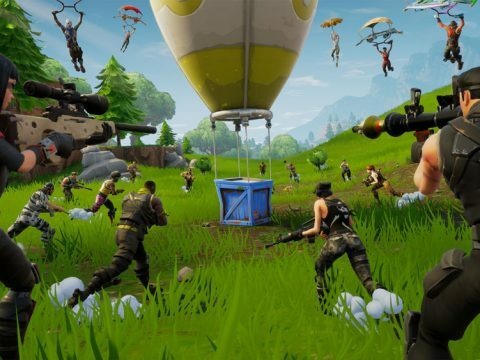 But winning takes more than just having a weapon and a vehicle, it takes knowing the map, learning the best places to drop, and getting decked out with gear quickly. 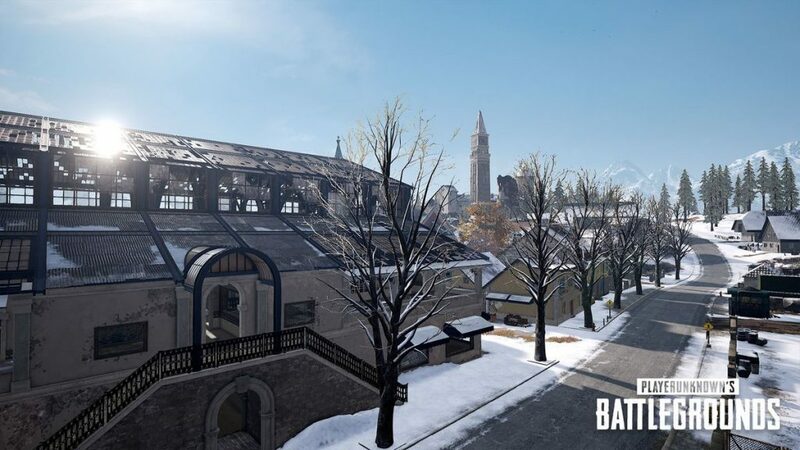 Let’s take a look at some of the landmarks scattered around Vikendi, and what type of firefight you might expect upon landing! 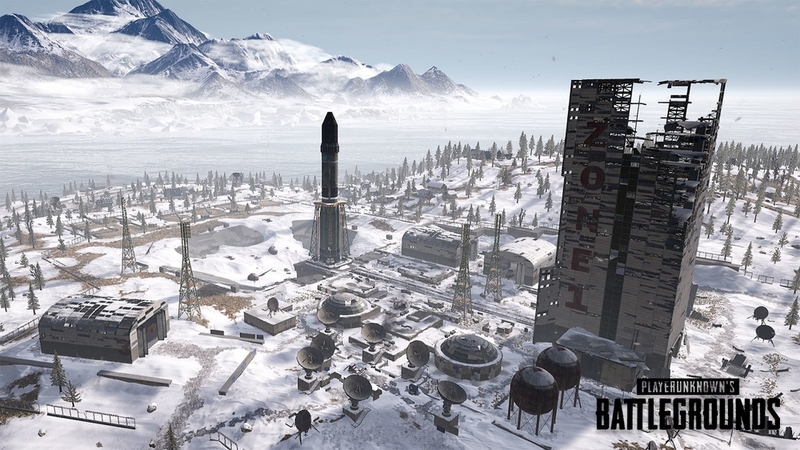 Situated in the far north of Vikendi, the Cosmodrome offers players a large and spacious area to loot. With direct access to a main road, reaching the eastern side of the island isn’t a problem, and with two bridges in close proximity, venturing over to the west is relatively simple. While in the cosmodrome, take some time to search the tall building, as it is bound to house some valuable gear. 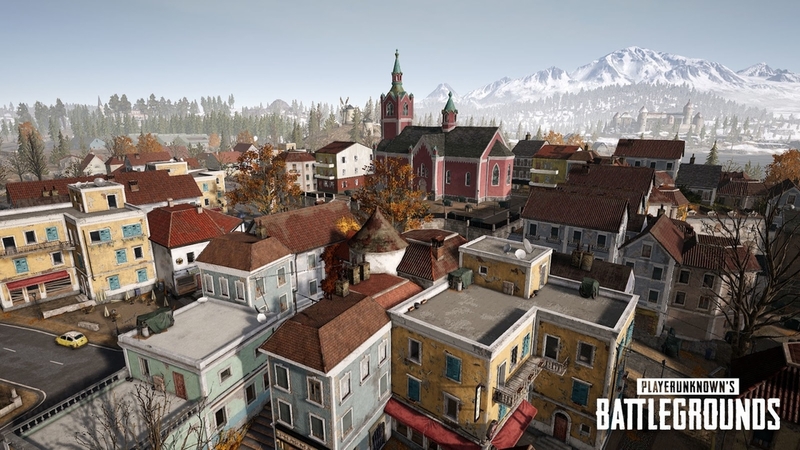 Volvnova is one of the larger cities in Vikendi, with buildings packed in tightly to one another. 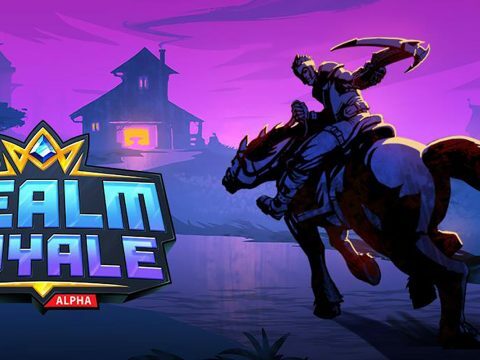 Players looking for a good place to loot would do well to consider Volnova, though it will likely be a prime target if the drop takes you over the southern side of the island. Because the buildings are so crammed tight, expect a lot of running between, and fighting on top of, rooftops. 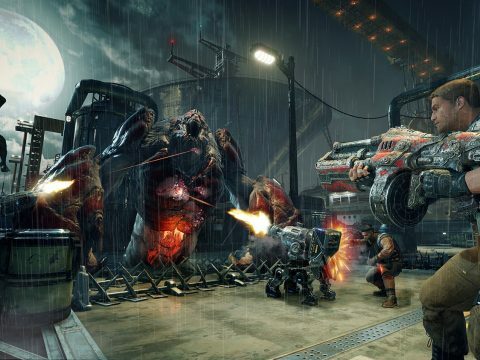 The alleyways, though claustrophobic, offer a great option for players looking to slip away. 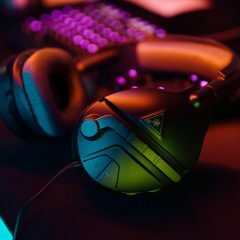 The Turtle Beach Atlas Three PC gaming headset delivers powerful amplified Windows Sonic for Headphones surround sound, crystal-clear chat, and unmatched comfort built specifically for PC. The city by the frozen lake, Goroka boasts numerous smaller houses for players to explore. Because it is in the shadow of Mount Kreznic, it can be a good option for players who want to drop in the center of the map and strike outwards. Just be aware that there is an elevation behind the village, meaning anyone down on the lake will be subject to snipers. 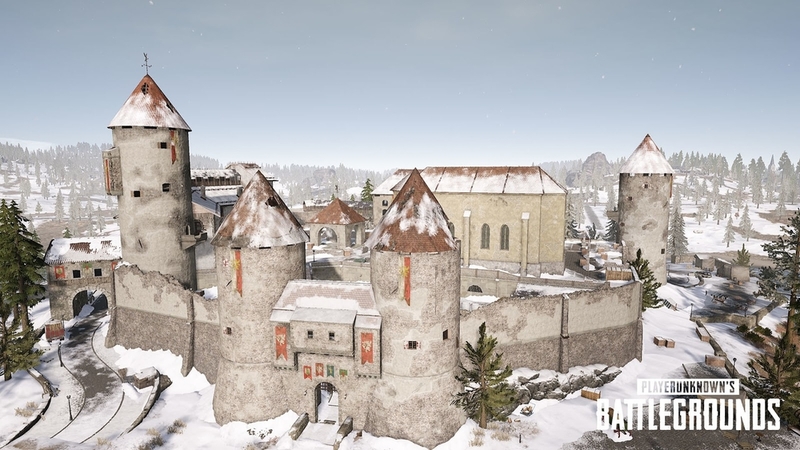 There’s a good reason a castle was built in this spot in Vikendi, and it’s all about an easily defensible position. With three points of egress, anyone who chooses to land here will have a few options when looking to relocate when responding to the circle. However, these bridges are also its downside, as anyone who’s played a minute of PUBG will tell you: crossing a bridge can lead to disaster. Dobro Mesto is about as far west as you can get without being in the water. As one of the largest cities in Vikendi, there will always be great loot to be found, though players should expect a bit of traffic. There are dozens of buildings packed into the seaside town and all of them range in size, from smaller buildings to larger, central plaza. Spending time in the plaza can be dangerous, as it will be a top priority for a lot of players, so getting in and out quickly is key. 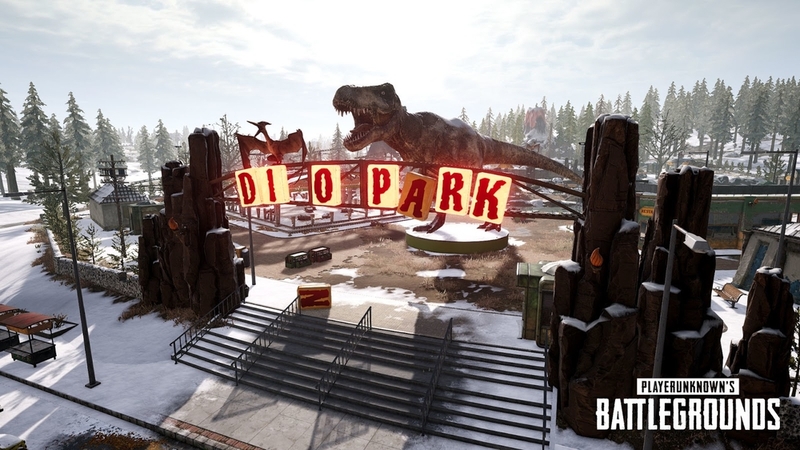 A trip to the snowy land of Vikendi wouldn’t be complete without stopping in at the always popular Dino Park. This once busy attraction is now rather dilapidated, though there is still fun to be had exploring the grounds. There are a few buildings scattered along the perimeter which can be quickly looted in close succession without having to set foot in the theme park. Those brave enough to cut through will likely want to investigate the maze, as you never know what’s hiding in the center. 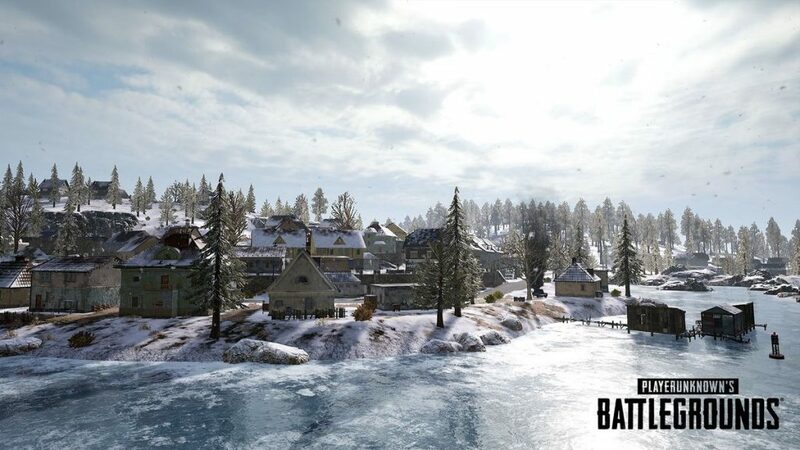 Vikendi is an exciting change of pace for PlayerUnknown’s Battlegrounds, as it brings to the table a suite of new locations to visit, all of which are covered in snow! With so many towns, villages, and sights to see, make sure you’re ready to fight for that chicken dinner by knowing the best places to drop.